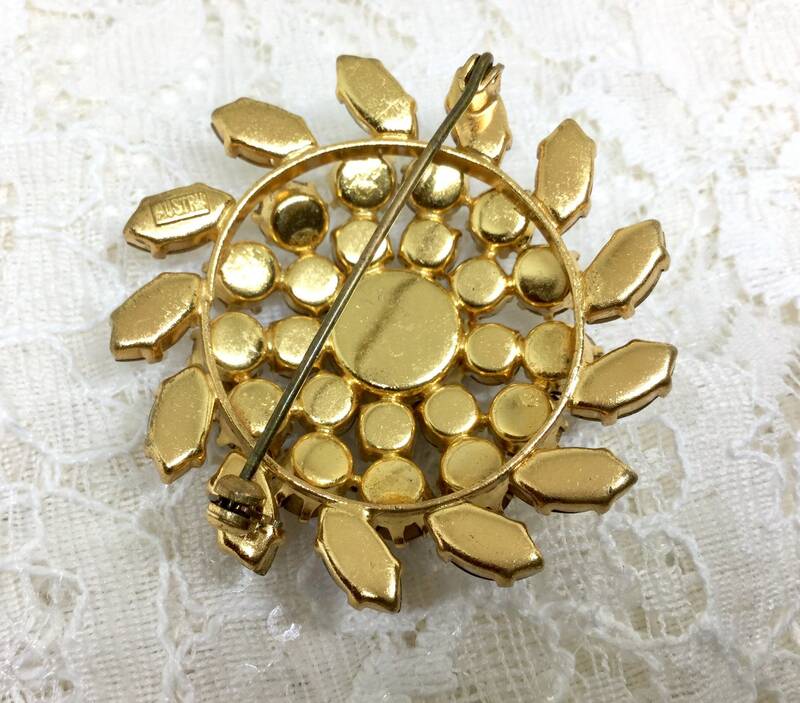 This is a beautiful goldtone vintage round swirl brooch. It is signed AUSTRIA on the back and consists of four layers. 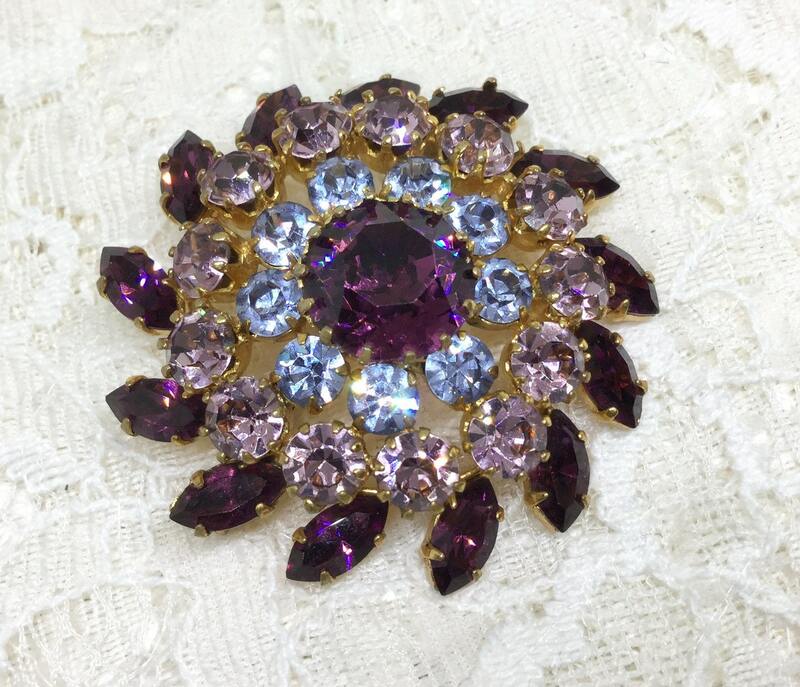 The focal point is the center faceted rhinestone that is a gorgeous shade of purple. The bottom swirl layer is this same purple but done in offset navettes that give the swirl look. The next layer up is round light pink rhinestones and the third layer up is light blue rhinestones. All rhinestones are faceted, prong set, and wonderfully sparkly! It measures 2” in diameter and the pin closure is straight and works smoothly and securely. 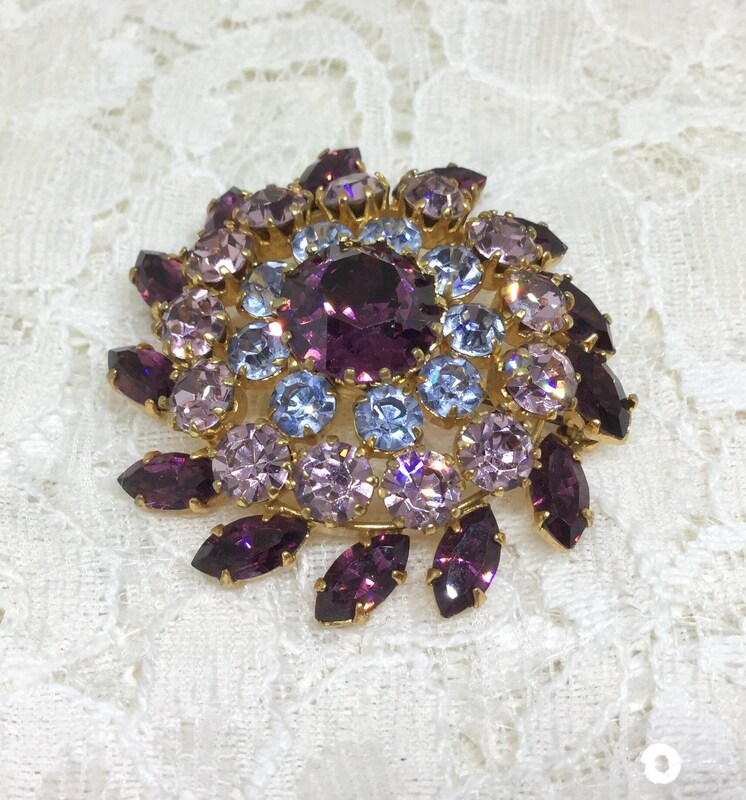 The brooch is in excellent condition with minimal wear on the back. 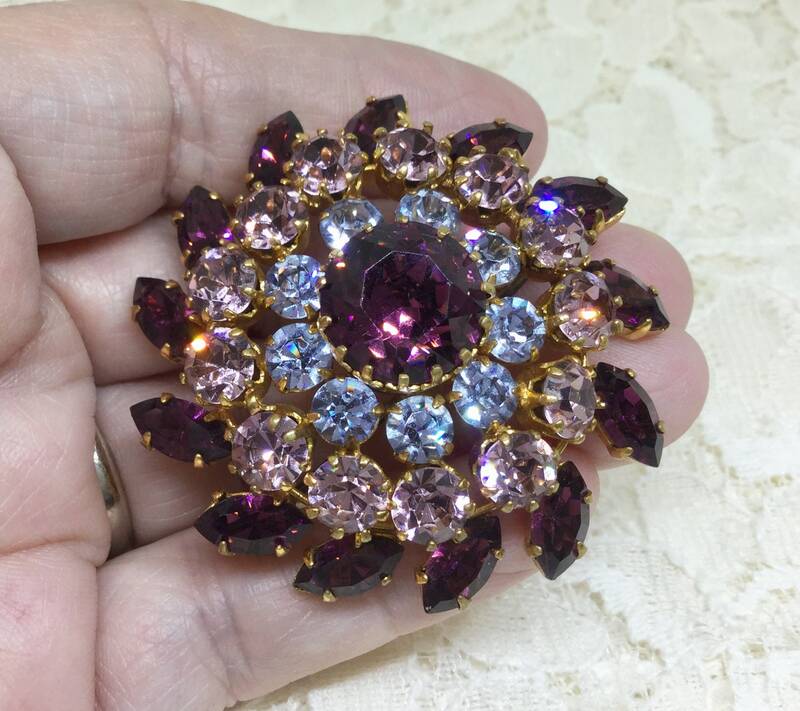 An amazing brooch for purple lovers or a great gift for Mothers Day.